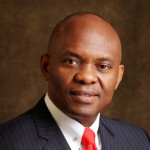 Tony O. Elumelu, CON, is an entrepreneur, philanthropist, and Chairman of Heirs Holdings, a proprietary investment company operating a portfolio of businesses across the African continent. In 2010, Elumelu founded Heirs Holdings, driven by his vision of African created and African-focused entrepreneurship that is committed to stimulating economic prosperity and social wealth. Heirs Holdings has significant interests in the ICT, financial services, energy, real estate and hospitality, agribusiness, and healthcare sectors. In the same year, he established The Tony Elumelu Foundation, an Africa based and funded philanthropy dedicated to the promotion of entrepreneurship in Africa by enhancing the competitiveness of the private sector to create economic and social wealth. 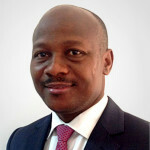 Rasheed Olaoluwa is the MD/CEO of Bank of Industry. Up until this appointment, Rasheed was the Group Director, Financial Services Sector at Heirs Holdings. Prior to this, he was the Group CEO of United Capital Plc, a leading pan-African asset management and investment banking group. Prior to this, he was an Executive Director at the United Bank for Africa (UBA), and played a key role in the expansion of UBA’s operations into sub-Saharan Africa. Rasheed holds a first class honours degree in Civil Engineering and an MBA from International Graduate School of Management, Spain. 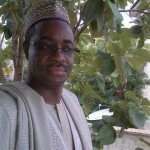 Dr Tanimu Yakubu is a founding member of the Governing Board of the Africapitalism Institute. Dr Yakubu brings several years of economic policy experience to the Institute. He was the Head of Investment and Economic Desk, Afri-Projects Consortium between 1996-9. He has also held several notable government roles which include Honourable Commissioner of Budget and Economic Planning, Katsina State, Member of the Federation Account Allocation Committee, Alternate Chairman, Northern States Technical Committee on Privatisation, Chief Economic Adviser to the President of the Federal Republic of Nigeria. Dr Yakubu is also the former Managing Director of Federal Mortgage Bank of Nigeria and sat on the Board of the First Interstate Merchant Bank.